Do you remember running board races at school? Or even playing Duck Duck Goose on Field Day? I loved those rare occasions when we were allowed to play. We weren’t focused on learning or practicing what we already knew, we were just having fun. Any learning that occurred was a happy accident. My kids also love to play games. They will learn what they need to in order to be able to play the game. Sadly, collecting games get expensive and several of the ones at second hand stores are often missing pieces. 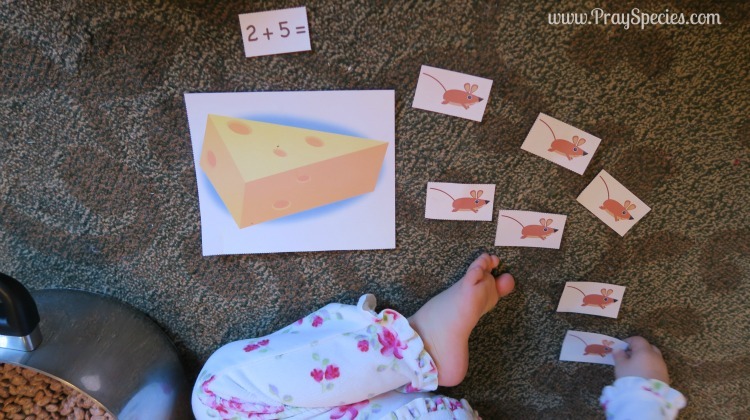 Fortunately, you can easily make lots of games at home and several sites (Math Geek Mama is my favorite for kids at kindergarten level) have printable games that you can use at home. But you need to have time (and printer paper) to make and assemble these games. Mother Goose Time has once again made my life a little easier. 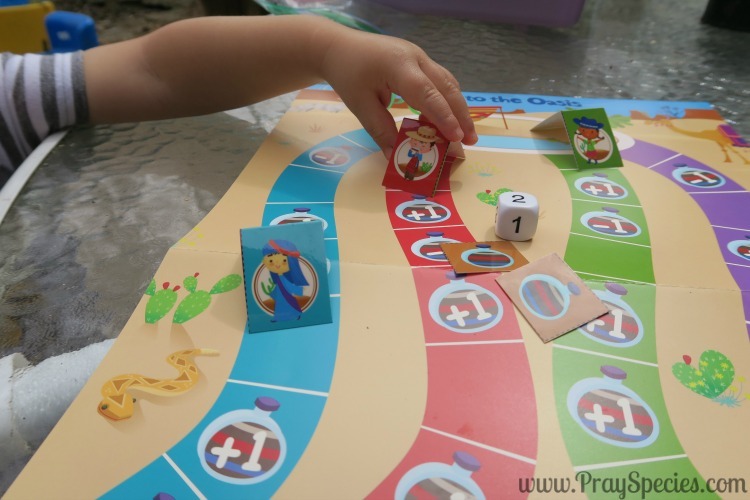 Several ready to go games are included in our monthly curriculum box. 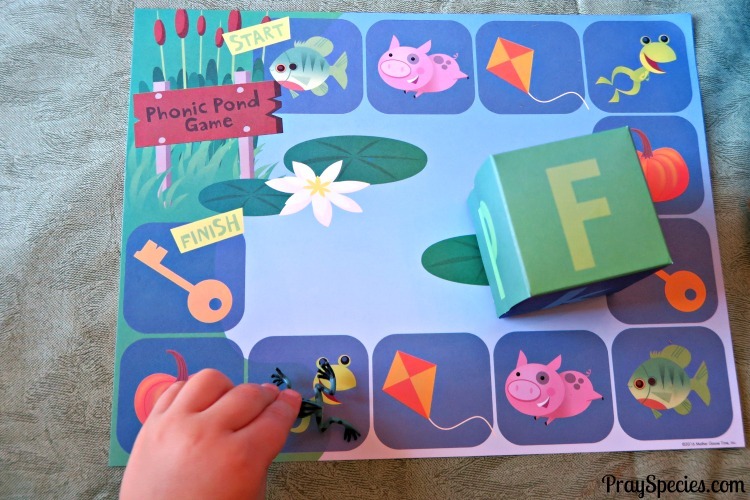 For example, we are starting week two of our time learning about the pond and we have already played three games. 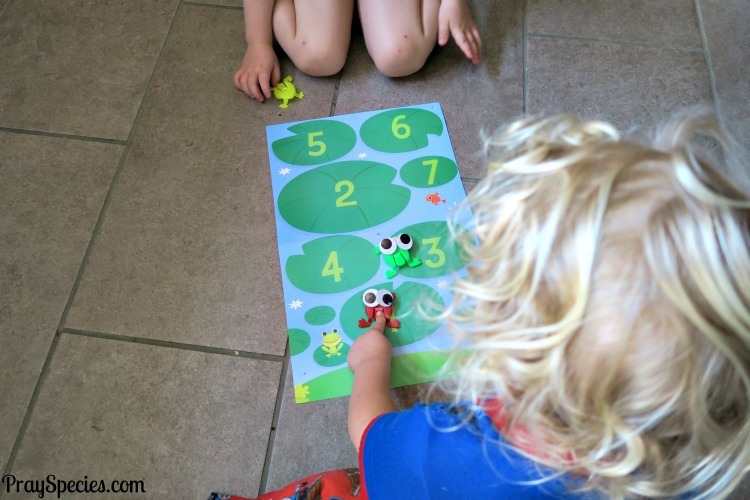 I love when Ladybug tries to teach the baby to play games, I think he does too! One of my favorite reasons for using games is that it gives the kids a reason to care about learning concepts. Sure, phonics will help them learn to read, but it’s a big leap from making a “f” sound to reading a book. 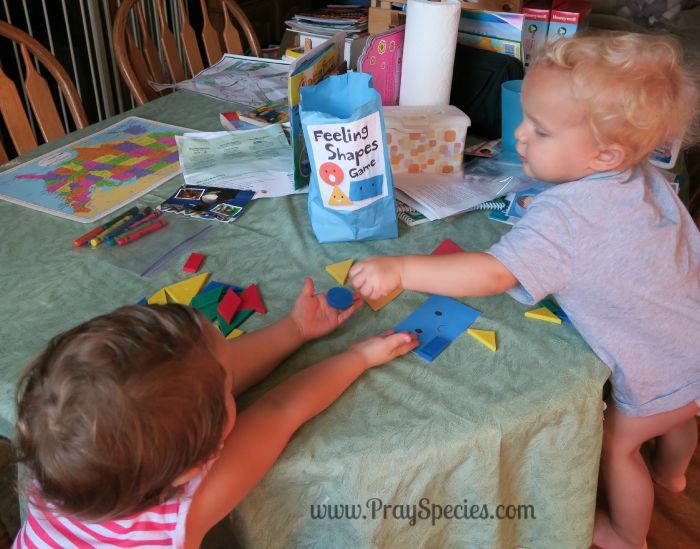 Showing them that if they can sound out the letter “f” they can move forward two spaces has immediate value. 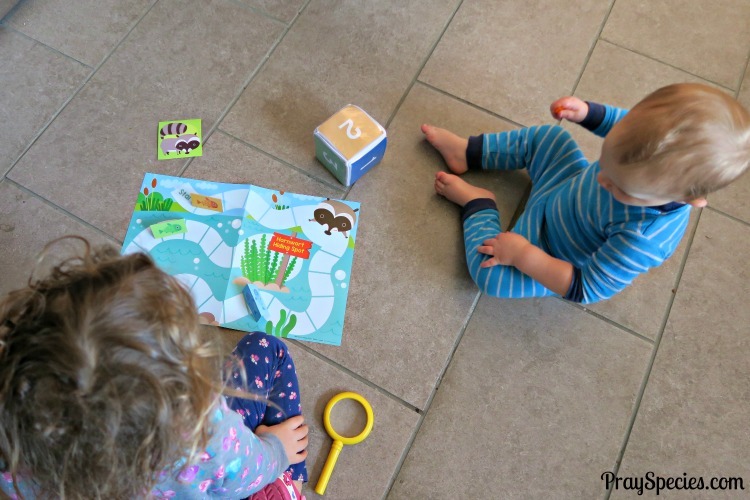 Mother Goose Time games require and reinforce learning concepts, but keep the focus on play and fun. and even other countries, like South Africa. Be open to changing up the rules. 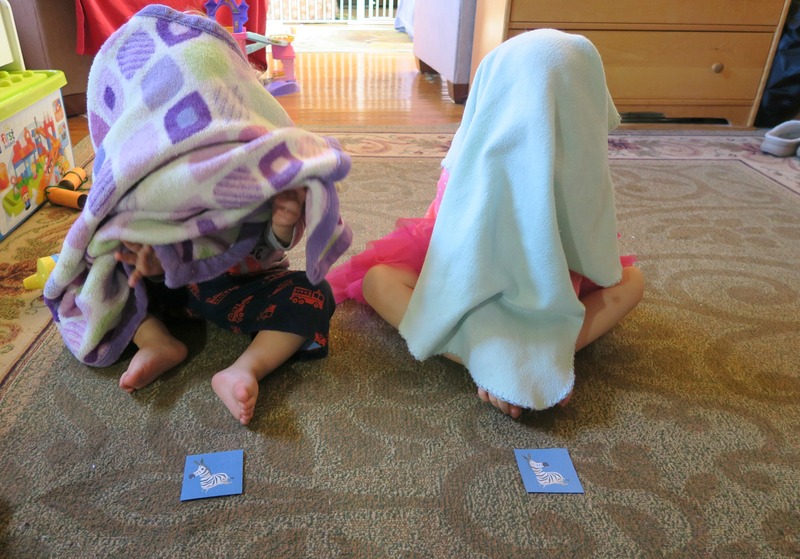 Many a time my kids will start playing a different way or start avoiding the rules. I tend to notice this when they find the game too hard, too easy, or if they are getting tired of playing. I tend to follow their lead. The result has been more time playing and more creativity. Keep it fun. Playing games is an amazing way for families to connect. 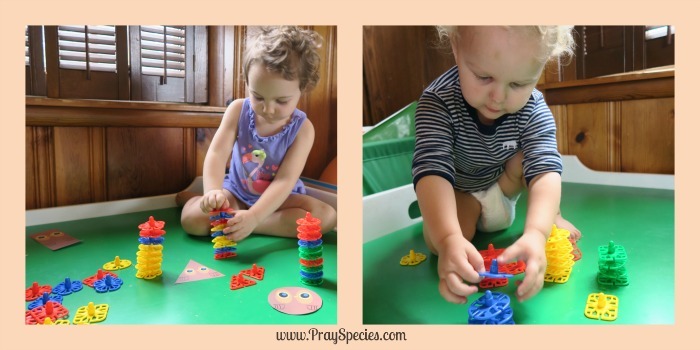 At the preschool age, learning information is secondary to learning to take turns, follow rules, and enjoy the company of others while playing together. If the kids aren’t having fun, stop. 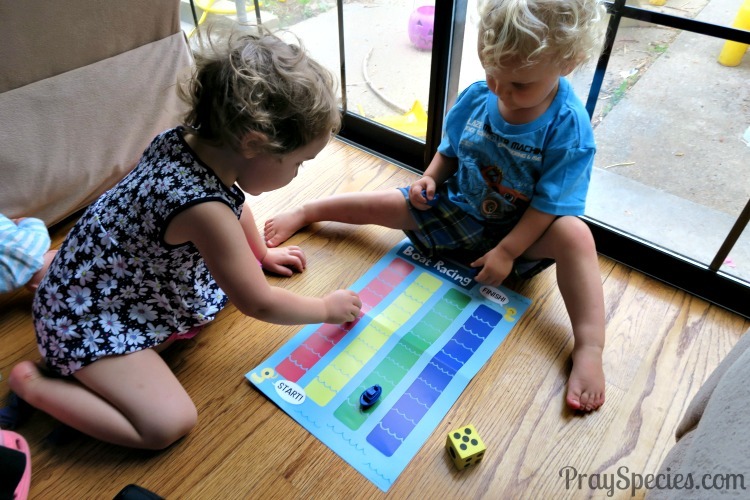 In addition to our Mother Goose Time games, we also have some recommended family favorites to get you started on your way to becoming a family that plays “indoor games” together. We are finding new games to play everyday! We are especially grateful for the ones that Mother Goose Time delivers right to our door every month! Do you have a favorite to recommend?